BnrtxCoin, (symbol BNX) has been around since 2nd Jul, 2017 and works without the need of a central bank. BnrtxCoin, a digital currency, utlizes the X11 algorithm along with the proof of work (pow) consensus. BnrtxCoin can be found online, on social networks like Facebook. 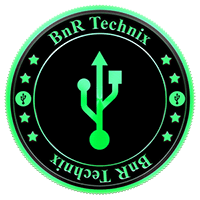 We don't have any cloud miners listed for BnrtxCoin yet, check back soon! We don't have any exchanges listed for BnrtxCoin yet, check back soon! We don't have any wallets listed for BnrtxCoin yet, check back soon! We don't have any debit cards listed for BnrtxCoin (BNX) yet, check back soon! We don't have any price charts listed for BnrtxCoin yet, check back soon!